The origins of Volunteer for the Visayans (VFV) date back to the early 1990’s when U.S. volunteers from Jacksonville University, Florida led by Troy Peden traveled to Tacloban City in order to volunteer on a project known as Building Hope, which was the original precursor to Volunteer for the Visayans. The volunteers participated in a number of community development and social welfare projects, including the renovation and repair of Sagkahan National High School which had been damaged by a recent typhoon. During their visits, Peden and his volunteers set foundations for the future by working closely with the Tacloban City Social Welfare and Development Office, building trust and creating a model which would serve as VFV’s underlying structure for years to come. The volunteers continued to return on their own each year, and in 2004 were instrumental in establishing the Volunteers for the Visayans as a non-profit organisation. With support from the GoAbroad Foundation Troy Peden provided a gateway of financial support which slowly enabled VFV to develop the resources needed to become a successful on-ground NGO. With every year that passed, VFV strived to reach out and improve the lives of communities and individuals in a manner that was responsible and sustainable; this led to a number of projects developing under VFV’s three core programs. The first is the Volunteer Program, which oversees the volunteer projects that VFV collaborate on with local community partners. 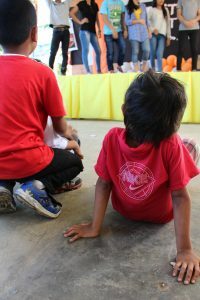 Over the years, VFV has offered vital assistance to child care facilities, social welfare institutes, rural health clinics, public nutrition programs, rural elementary schools and special education offering numerous unique programs for anyone looking to Volunteer Abroad in the Philippines. The program fee paid by volunteers is used to cover accommodations with a host family and administrative expenses, as well as to partially fund the programs. Because the Philippines is a developing country, there are limited resources available either locally or nationally to fund social service programs. Without outside help, we simply would not be able to operate our current programs that help malnourished children, disfranchised youth, underfunded schools, and poverty-stricken families. VFV (and other volunteer organizations in developing countries) can only provide these critical services through the contributions of international volunteers and donors. VFV absolutely understands that international volunteers are making a major personal investment in time and money to volunteer, and our goal is to reciprocate this by making their volunteer experience a truly meaningful and enjoyable one. 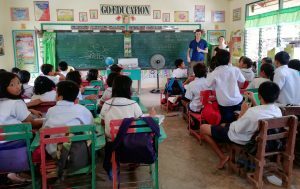 As an organization, we understand that volunteering in the Philippines can sometimes be a challenge for international volunteers, which is why over the years our staff have tailored a program to offer close local staff support and in-depth project orientation. The second program is the Child Sponsorship Program, which assists needy children from socioeconomically stressed families to remain in school. The program is supported by the annual donations of international benefactors who annually make the commitment of paying $300 US Dollars a year to Sponsor A Child in the Philippines. Currently 170 children are enrolled in the Child sponsorship program. About 70 of these children attend the VFV Community Center daily for tutoring and enrichment activities. These services are provided by the sponsorship coordinators and international volunteers, who in many cases who devote extra hours of volunteer work beyond their regular commitment. Finally, the third program is the Community Program which consists of both Local Community and Outreach programs across the Eastern Visayas. Of the various Community Program projects, the Dumpsite Program has probably been VFV’s most challenging and rewarding initiative. VFV has been successful in getting many children to leave the dumpsite and enroll in school. This project is founded on VFV’s social enterprising model whereby the international volunteers pay a program fee. In addition to the Dumpsite Project, the Community Program oversees three social and economic empowerment groups. These groups are the Mothers Club which focuses on developing self-sufficiency skills; the Boys Club and the Girls Club which work on strengthening social skills and civic behavior through enhancement activities; and Laura’s Crafts, an arts and crafts project (named after the volunteer who established it), that strives to develop livelihood skills through craft work. enlists sponsors to contribute school supplies to remote rural schools in Eastern Visayas; the Build-A-School project which renovates or builds school facilities; and the Build-A-Home project, which renovates or builds homes for families who are living in unsafe structures. 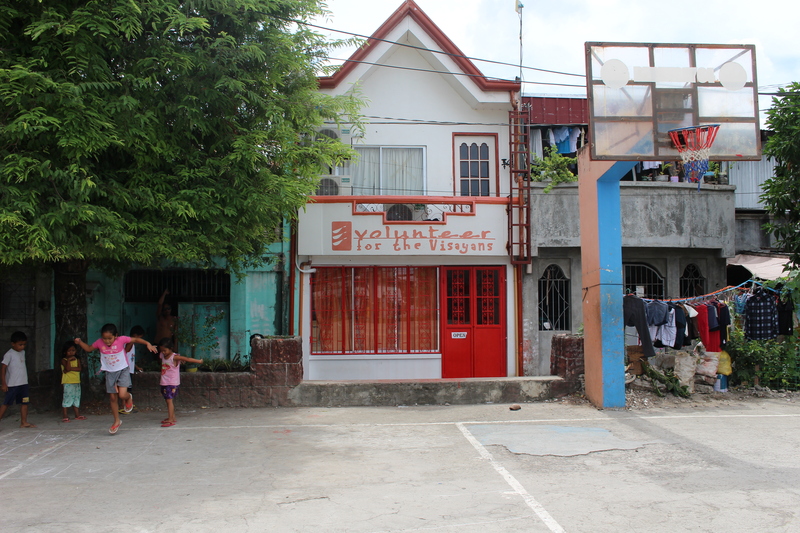 Annually, VFV conducts a Medical Mission in a rural town, where medical services are hard to come by. These clinics generally are conducted during the third week of April. 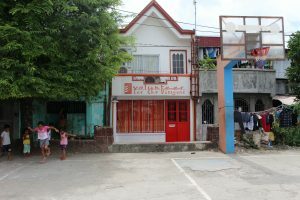 Whilst the majority of these projects are augmented financially through VFV’s unique social enterprising model; the existence of such projects also provides a number of options for anyone wishing to Fund raise for Causes in the Philippines. In summary, it is the combination of these three core programs that makes Volunteer for the Visayans a successful, broad-based social welfare program.